Saif Mahm­ood is not just a poetry and literary critic but a prominent Indian lawyer — an advocate of the Supreme Court of India — who loves the Urdu language. 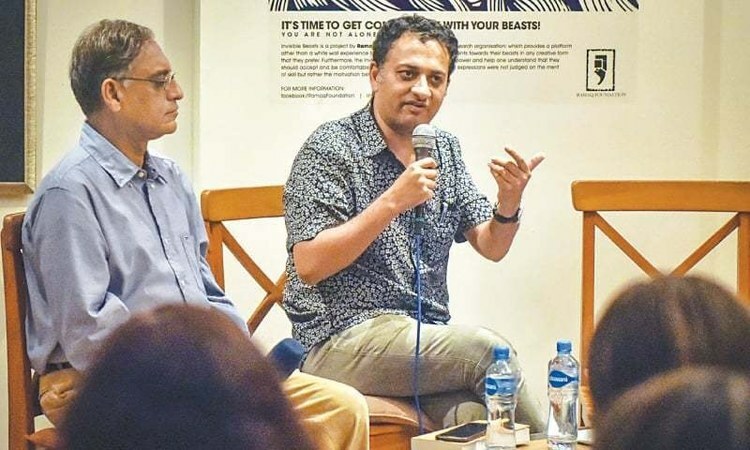 His book Beloved Delhi — A Mughal City and Her Greatest Poets was launched in Karachi in a session that was held at The Second Floor (T2F) on Thursday evening. Attended by the literary circle of Karachi who befriended the Indian author during his many visits to the Karachi Literature Festival over the years, the event was hosted by Dr Asif Farrukhi and he took the launch forward by putting pertinent questions to the author who flew in especially from across the border for the event. When asked why he chose to write a book on Urdu poetry when he is associated with law, the author smartly termed wakalat and shayiri as quite similar to each other, since lawyers and poets both elaborate beautifully. He also told the audience that due to the success of Jashn-i-Rekhta, Urdu has been revived in India and people whose mother tongue isn’t Urdu are now taking it forward. He further added that what started as a blog ended up as a fully-researched book on Urdu poets of Delhi because to understand Urdu, one has to know about the classic literature and the people behind it. The Indian author spoke eloquently in English and Urdu — English when reading an excerpt from the book and Urdu when conversing with the host. It was during the discussion that he told the audience the reasons why and how he went for eight Delhi poets instead of more and what made him end the list with Mirza Rafi Sauda [1713-1781], Khwaja Mir Dard [1721-1785], Mir Taqi Mir [1722-1810], Mirza Asad­ullah Khan Ghalib [1797-1869], Momin Khan Momin [1800-1851], Bahadur Shah Zafar [1775-1862], Shaikh Mohammad Ibrahim Zauq [1789-1854] and Mirza Khan Daagh Dehlvi [1831 to 1905]. He also explained the correlation between Delhi and Urdu and why he considers those wrong who disowned the language as just for Muslims. The session ventured from one era to another, from a usually unknown Jafar Zatalli to Sauda, to Mirza Ghalib and Bahadur Shah Zafar, demanding attention from the audience. The author called his book “Classic Urdu literature ka Muqadma” and read the first paragraph that explained a lot as to why he chose to write the book. 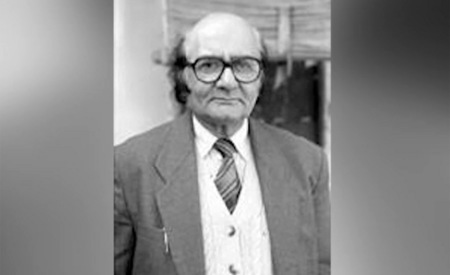 Why he started the book from Sauda and not Mir is something only those who understand Urdu literature and know its history would be curious about, and the writer linked it with the hanging of Jafar Zatalli who he termed as a poet way ahead of his times. If the book is half as interesting as the discussion was, it may become a bestseller in Pakistan, the only country in the world that has Urdu as its official language. Saif Mahmood terms it a tribute to the language by a lover and not one for research purposes; he also cites 1857 as the year that changed the dynamics of Urdu literature in India as only Ghalib and Daagh were able to achieve greatness from Delhi after the War of Independence. He also dwelled on Mir’s romance for Delhi, Zauq’s sensuality and Ghalib’s wit and even narrated an incident about the latter as a litigant. The audience was then shown pictures of some Delhi landmarks that were linked with these eight poets, be it their residence or their final resting place. It was eye-opening to see some of these places including Ghata Masjid, Mir Dard Dargah, Anglo Arabic School, Sharif Manzil and even Yadgar-i-Zauq, not to mention the ‘poetic’ Do Gaz Zamin associated with Bahadur Shah Zafar. It was after that that Sania Saeed read a few excerpts from the book from the chapters on Sauda and Ghalib, followed by a heartening message from renowned poet Zehra Nigah who wished more success for the author of the book.